Quang Ninh (VNA) - The annual Culture and Sports Week for ethnic groups, a platform for connecting different ethnic communities in the region, kicked off on August 3 in Tien Yen district, Quang Ninh province. “This is an opportunity for the province to promote its image, people, landscapes and the unique cultural characteristics of its different ethnic groups to both Vietnamese and foreigners,” said Truong Cong Ngan, chairman of the Tien Yen district People’s Committee. The culture week, which will go on till August 7, will feature a wide range of events such as a folk and music festival, traditional costume show, modern dance and sports dance performances as well as traditional folk sports competitions. The festival will also include an exhibition showcasing the paintings, logos and photographs of Quang Ninh and a booth introducing tourist destinations in Tien Yen. A workshop will be held on conserving heritage by creating a cultural tourism product. On this occasion, Quang Ninh has also launched a Culture and Sports Centre for its ethnic groups. The 200 billion VND (8.8 million USD) centre, where most of the Culture Week events are being held, can accommodate over 1,000 seats. 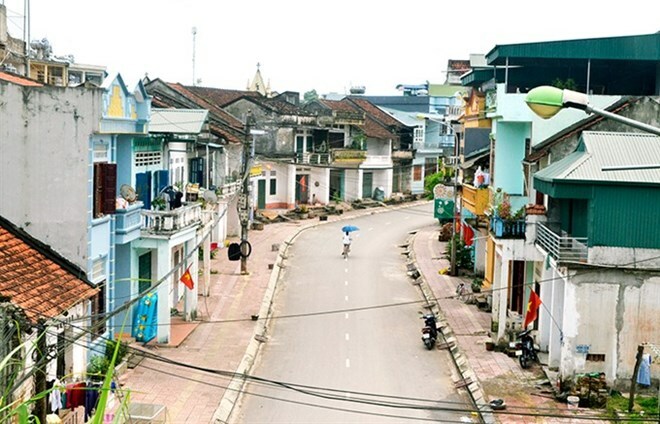 A special pedestrian street is being organised with live street music and booths selling local specialties to “awaken the ancient town of Tien Yen district”, which was once the region’s cultural and economic hub.